Keeping my feet happy is quite important to me. You know when you put your feet in a pair of running and shoes and they feel just right? Oh, you know that feeling! Recently, it's been a rotation of three pairs of shoes that have kept my feet feeling quite awesome. I'm still shocked by these shoes. I never thought I'd put my feet in a pair of Skechers. But I did and now I'm in love. These shoes are like super light clouds on my feet, that offer a great amount of support. Ward still comes back from running in his Ultras, picks them up, looks at them lovingly, saying "wow, I really love these shoes." I've done long runs and speed workouts in them. An overall awesome shoe. And then there is the Reebok One Cushion. The first shoe I trusted my feet to after my injuries this summer. 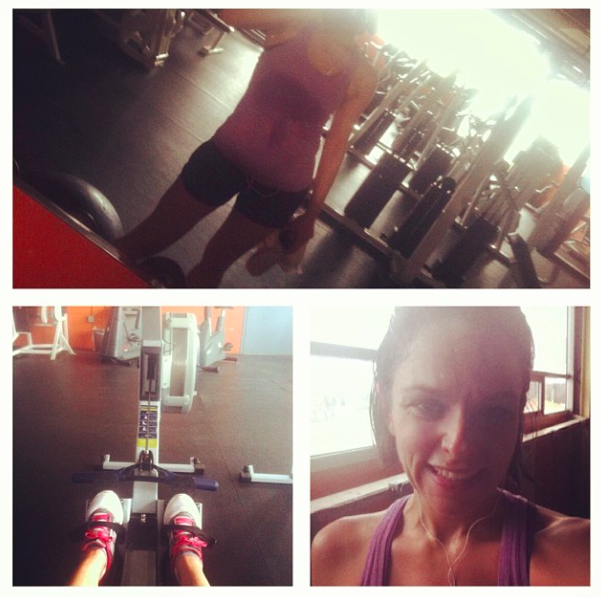 They make an incredible trainer that has gotten me through many miles. I'm even on my 2nd pair of the One's. It's a pretty big indicator that if I buy a second pair of shoes, them I'm obviously sold. 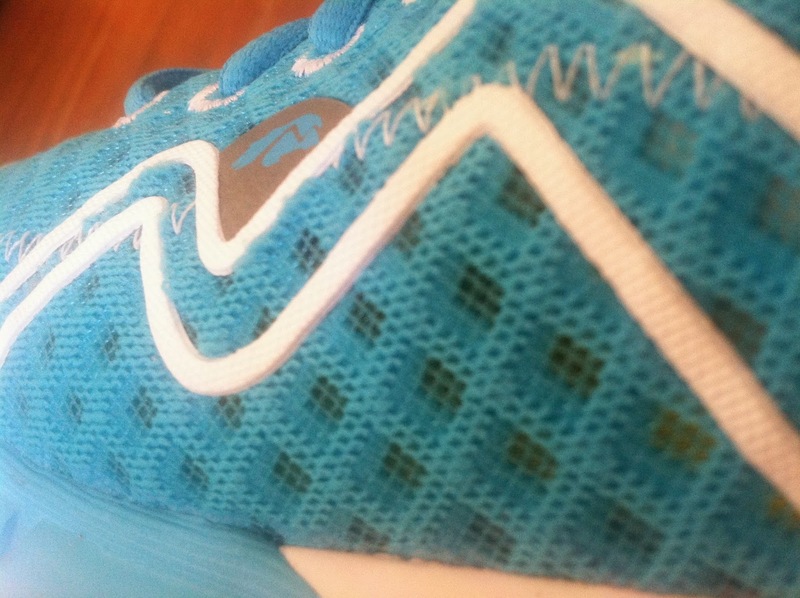 What my feet like about the Karhu Flow3? 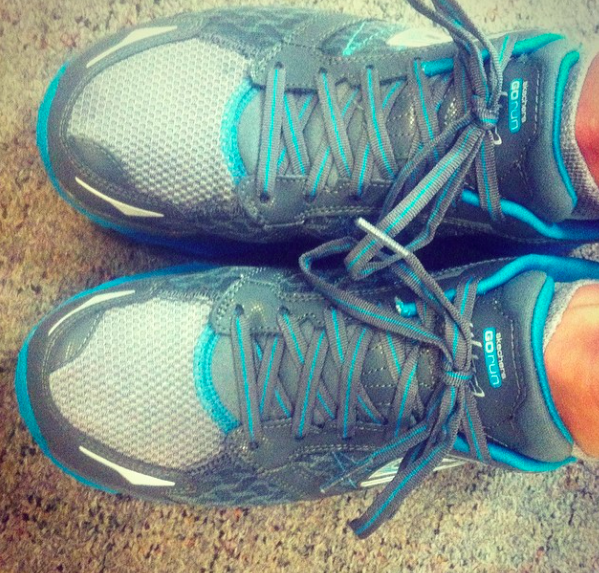 These shoes offer incredible arch support. Not once have felt any arch pains during or after a run in these. They are unlike a lot of my favorite shoes. They are not cushy. However, they offer great support for long runs and are light enough for speed. I did read some reviews prior to receiving these shoes that the forefoot ran slightly narrow. Knowing my wide bunion feet, I ordered a half size up. Doing so was the right thing for my bunions. They are happy, therefore, I am happy. The only downside to sizing up in these, meant that the heel was a little loose. Not the end of the world, but I did notice it. However, shortly after receiving the Flow3's, I was offered to review the Stable 26 socks. Have you ever heard of Stable 26 socks? These socks take care of any slippage you may experience in your running shoes. For people, like me, with super wide feet but narrow heels, my shoes sometimes slip. Doing the runners loop has helped, but it doesn't solve all of the slippage problems. These socks solve the problem. 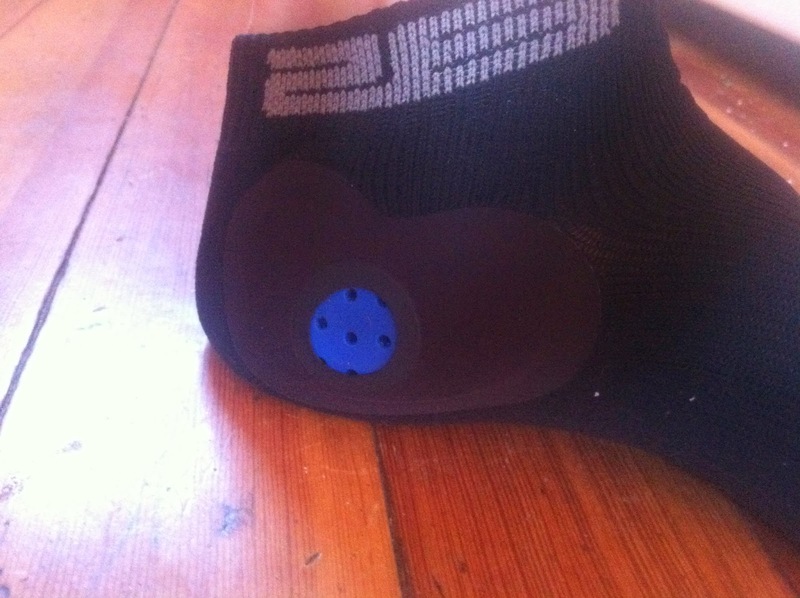 The blue padding on both sides of the sock fill that gap and provide cushion without rubbing. With a shoe that doesn't slip, your run is so much better and chances of getting a blister are greatly reduced. What makes your feet happy? Do you want to win a pair of Stable 26 socks? I'm a new Stable 26 Ambassador and they offered my readers a chance to win a pair to see for yourselves how great they are! Enter below. I will announce my winner on the blog on 4/27/14. Be sure I can email you, because I will also email the winner. The winner will have 24 hours to respond to the email or another winner will be chosen. Disclaimer: The opinions expressed above are 100% my own. I received product in exchange for this review and post. Love that they have custom socks for more than just running. I know i would love a pair for skiing! What a great concept for helping wit shoe fit! yeah! a pair for skiing would be great!!! Having a pair of these around for those shoes that aren't perfect is necessary!!! I think it's a great concept and even more impressed they work! I like that the socks enhance stability. I wonder if they would help with my achilles problems. My feet have just started slipping everywhere in my shoes. It's interesting that these increase stability! I have degenerative tendons in my feet. I will try anything to get relief. Maybe these socks will help! So interesting! Could definitely use the stabilization! I have bunions which cause a lot of issues for me & my poor feet!